I wasn’t planning on testing the state’s new cell phone blocking technology unveiled Friday by Gov. 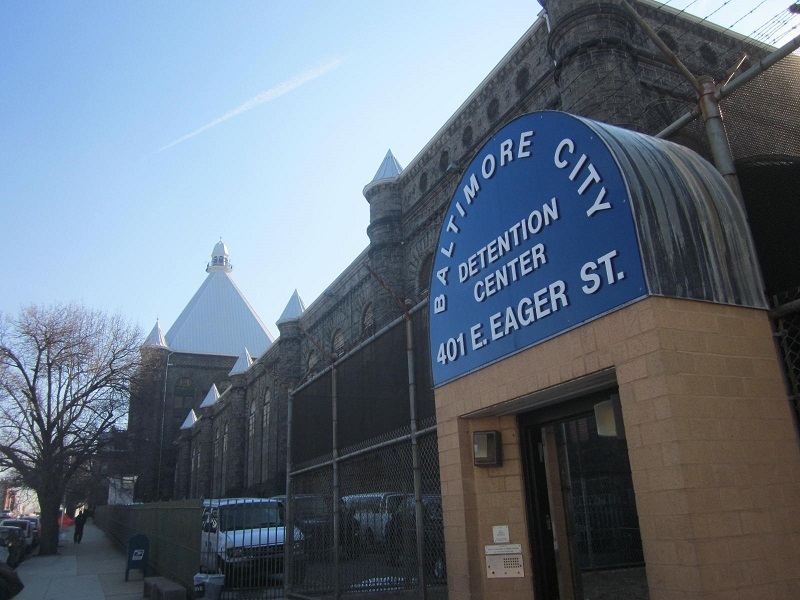 Martin O’Malley at the Baltimore City jail. But a blown-out tire on East Madison Street across the street from back of the jail made me do it. Inside the jail, I had already heard the ominous recorded message you’re supposed to get if you’re an unauthorized user inside the detention center. That’s the same message I got about 100 feet outside the high prison wall as I tried to call AAA for road service. And then the call disconnected. Repeatedly. That’s the message I got a half-block further south on Graves Street. I had to go a full block away from the jail to East Monument before my Blackberry could get through. Blocking inmate calls from cell phones they’re not supposed to have is a good idea. Blocking cell phone use on busy city streets outside the jail is not so great. The press release says calls to 911 should work. I didn’t try. The system from Tecore of Hanover has been tested for over a month now. It obviously still needs some fine tuning. By the way, Jeff Toobin, legal affairs correspondent of the New Yorker magazine and a CNN analyst, attended the news conference. He told me he was working on a story about “the saga” of the Baltimore City Detention Center. Look for a long article in the near future. Toobin asked the governor a question about whether it was appropriate for women correctional officers to be guarding male prisoners. O’Malley handed the question off to corrections secretary Gregg Hershberger to answer, who said it was a common and successful practice across the country.